I just hope it tastes good because I totted up how much it cost for ingredients, electricity and (wo)man hours and I reckon it would have been cheaper to go to Harrods and buy one of their top of the range!! But I secretly enjoyed baking again. 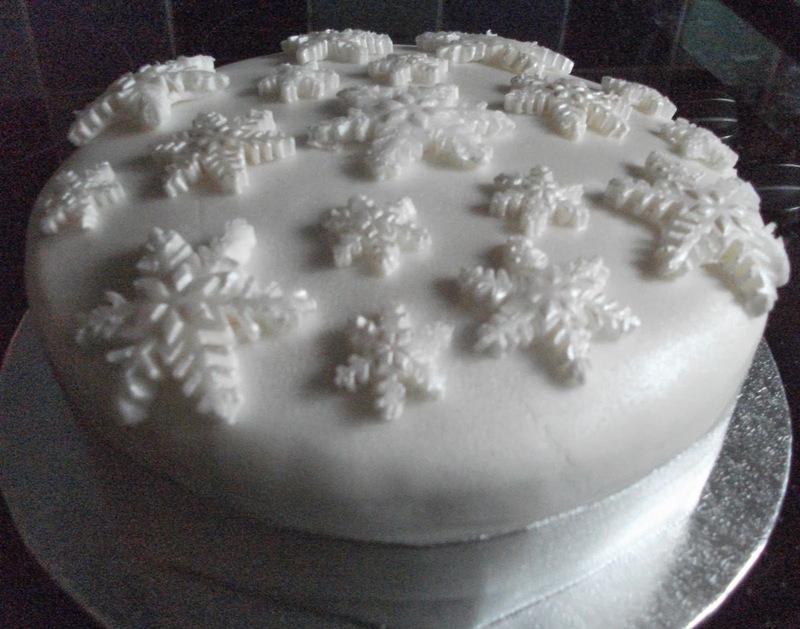 Good evening Annie, your Christmas cake looks good enough to eat.....yum..yum..
Wow! Annie, Your cake is absolutely GORGEOUS! I popped by to congratulate you on your special feature at Freshly Brewed Challenges today! Your surprise box is beautiful! Have a Very Merry Christmas and a Healthy and Happy New year! Annie I would LOVE to be able to sit at your table and sample this DELECTIBLE cake!!! I'm sure that it was mouth wateringly YUMMY!! !